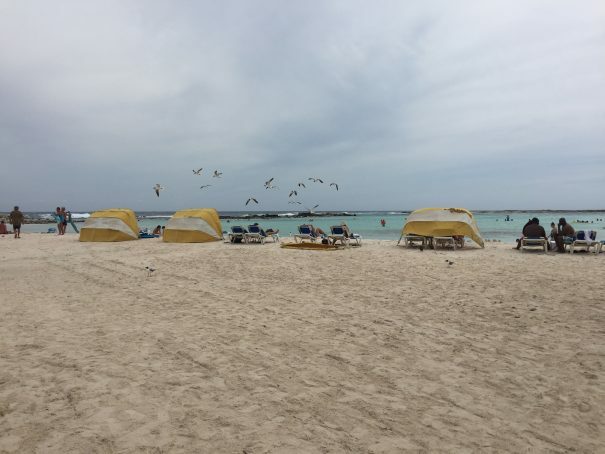 Aruba has dozens of spectacular beaches, all of them stunning in their own way. Here are just a few of our favorites. 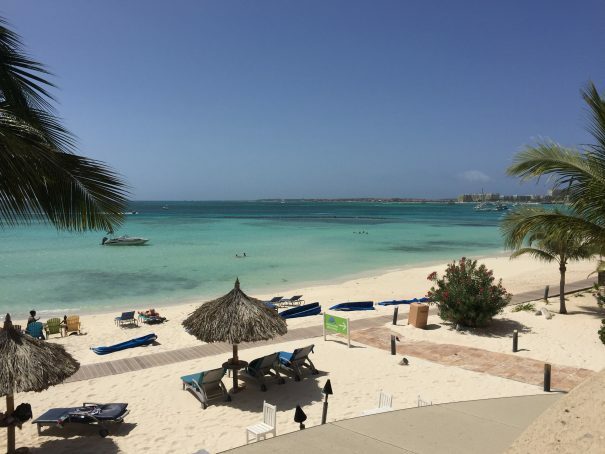 Divi Aruba Phoenix Beach Resort is situated right on the world-famous Palm Beach, known for its calm waters and beautiful white sand. It’s located on the luxurious high-rise hotels’ stretch of the island. Eagle Beach is directly in front of Divi Village Golf & Beach Resort. 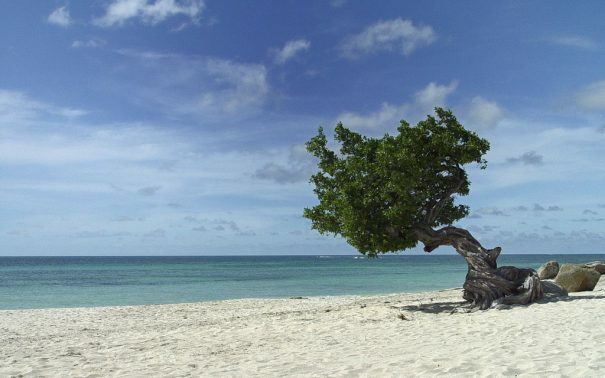 It’s a well-visited public beach with plenty of shade for picnics provided by Divi Divi trees, Aruba’s iconic tree and the namesake for Divi Resorts. Eagle Beach also has plenty of parking just off the main road. Arashi Beach is located just south of the California Lighthouse near the northwestern tip of Aruba. With an amazing variety of underwater life, it’s best known for its terrific snorkeling. Baby Beach is named for the calm and shallow waters that make it ideal for children and inexperienced swimmers. Those who love to snorkel will enjoy seeing the many gorgeous coral heads. 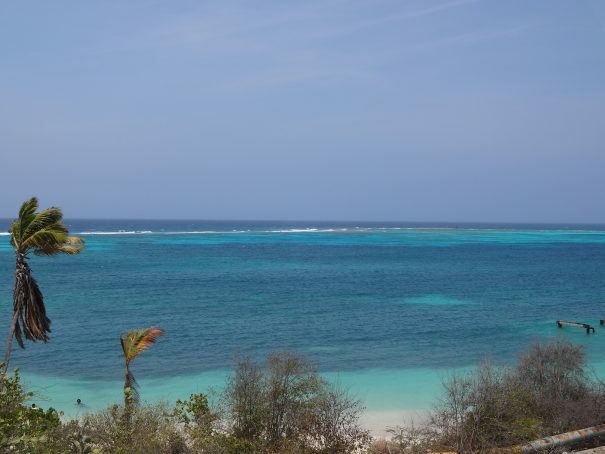 Baby Beach is situated in the area known as Sero Colorado at the southeastern end of the island. Boca Grandi Beach is a secluded beach located on the southeastern end of the island. 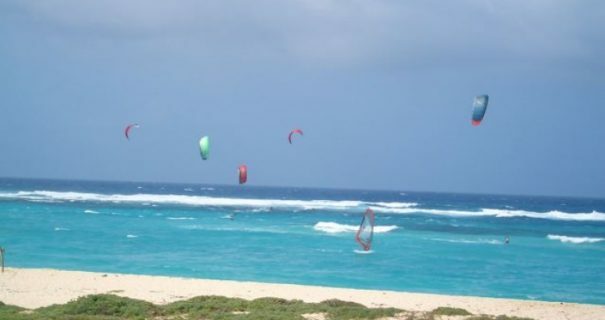 The persistent tradewinds make it an ideal spot for experienced kitesurfers, who can often be seen practicing breathtaking jumps and loops. Driftwood and bits of coral regularly wash ashore here—beachcombing is encouraged! Situated close to the well-known Baby Beach, Rodger’s Beach is often called the hidden gem of Aruban beaches. Popular with local families on the weekends, it empties out during the week and becomes an isolated paradise—complete with shady areas and shower facilities. The Coco Beach Bar & Restaurant is a quaint place to visit. 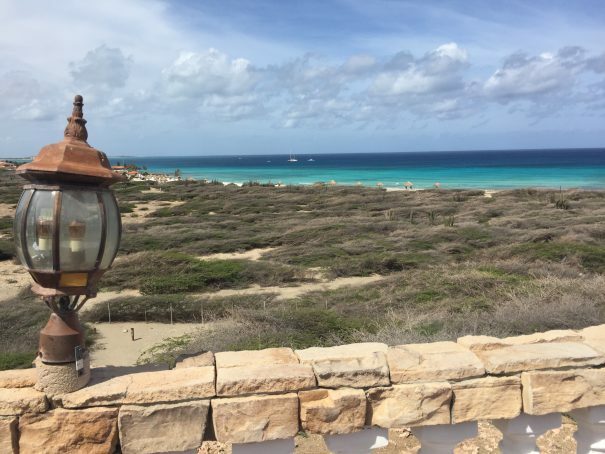 It often seems like Aruba has a different tropical paradise around every corner, and it’s fun to discover new spots. Let us know your favorite beach in the comments! There are tons of great things to do near Divi Southwinds Beach Resort on Barbados. If you’ve never been surfing before, this is the perfect place to start! 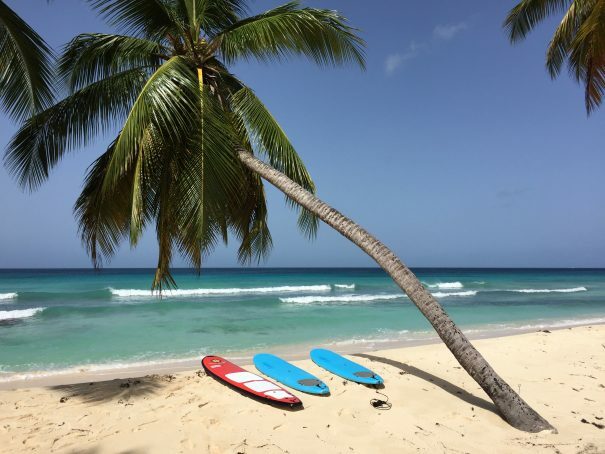 The dream-like Dover Beach has soft golden sand and calm waves, and Barry’s Surf School, located just a short walk from the resort, has plenty of options for surfers at all levels. Intro to Surfing lessons ($75), teach the fundamentals of surfing. Barry’s experienced instructors help you learn the ropes quickly. The Surf Stronger package ($195), designed for intermediate surfers, offers three days of instruction for two hours a day with a guide who will help you refine your technique. And for surfers who want to surf on their own, Barry’s Surf School also rents dozens of types of boards so you can shred the waves your style. Hi there! In June, I was lucky enough to travel to Divi Southwinds Beach Resort on Barbados. While I was there, I also tried my hand at surfing for the first time. It’s a fantastic experience—I couldn’t stop talking about it to my friends back home. From Divi Southwinds, if you walk east along the St. Lawrence Gap for a few minutes, you’ll see signs pointing the way to Barry’s Surf School. A small hut set back from the road, it would be easy to miss if it weren’t for the signs. It’s much more visible from the beach—you may opt for a beach stroll instead! The distance from Divi Southwinds is about the same. I took an Intro to Surfing lesson, which took place on a bright and warm Thursday morning. Lessons are taught all week, but Barry’s Surf School recommends that you sign up for your lesson in advance, as they can fill up quickly. Divi Southwinds staff at the Activities Center can easily arrange your lesson for you. Our surf instructor, Simon, gave us rash vests to protect against the surf and handed us nine-foot blue epoxy boards—easy to control in the water, he said. Then we hit the sand. Wait, what? That’s right, the sand. The instructors start their beginners’ lessons with about 20 minutes on the beach, familiarizing their new students with the moves they’ll need to make once they’re out on the water. We learned how to paddle properly, how to gracefully keep from falling off the board in the surf, and how to stand up once we caught a wave. Soon enough, we braved the ocean, paddling out on our boards against the surf. The waves on Barry’s section of Dover Beach are regular and fairly calm—the perfect place for beginners to get their sea legs for the first time. Our instructor Simon, who’s been a surfer for eight years, chose the waves for us and launched us back toward the beach, one at a time. We’d ride our wave as far as we could, trying our best each time to stand up. The other students cheered us on. Then we would paddle back out and do it again. The motion needed to stand up is smooth and measured, almost like yoga or tai chi. Any sudden moves, and you’ve got a face full of salt water. I experienced plenty of that, and it was frustrating at first, but by the end of the two-hour lesson, I had managed to stand up on three separate waves. Simon said that most beginners at Barry’s Surf School are able to stand up during their first lesson. Once you get the hang of it, it’s exhilarating! I can’t wait to try it again. Thanks Barry and Simon! 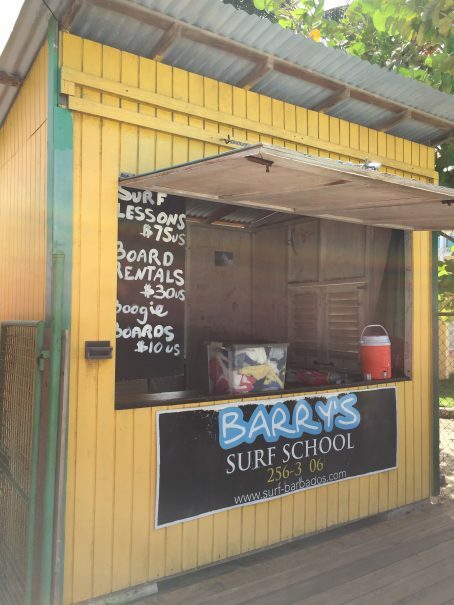 To book a lesson at Barry’s Surf School, visit www.surfing-barbados.com, call (246) 256-3906, or ask the Front Desk at Divi Southwinds Beach Resort to make arrangements. With all-inclusive packages, you’ll have the opportunity to drink and dine at three premium ocean view restaurants: pureocean, Chibi Chibi Bar & Restaurant and pureocean Beachside Bar, and enjoy a variety of fun activities including snorkeling, sunset yoga, salsa dancing lessons, live music and rum punch cocktail parties. Families with children ages 12 and under can take advantage of Divi Resorts’ Kids Stay, Play and Eat Free program as well as their complimentary Treasures of the Caribbean Kids’ Club. In addition to this program, you’ll enjoy spacious air-conditioned rooms and studio suites with private patios or balconies with an ocean, garden or pool view as well as complimentary WiFi. The resort also recently finished an extensive renovation that included stylish room and bathroom upgrades, a full makeover of their pool area and expansive sun deck, as well as adding a new beach, another dive boat and the opening of pureocean restaurant. For more details on the new All-Inclusive packages at Divi Flamingo Beach Resort & Casino, check out www.diviresorts.com/divi-flamingo-all-inclusive.htm. **Divi Dive Bonaire services are available to all-inclusive guests at an additional charge. 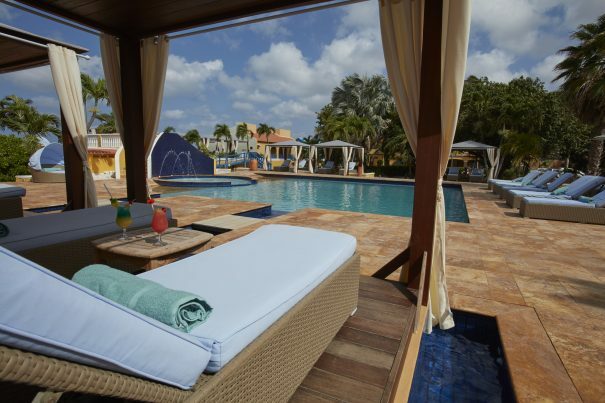 Divi Resorts are known as THE vacation experts of the Caribbean. We’re always looking for fresh takes and the latest news on our favorite part of the world. 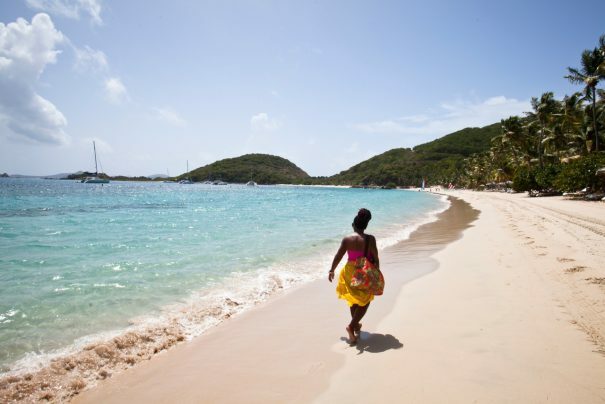 We thought you’d enjoy a list of our favorite Caribbean travel blogs! Sarah was an editor for six years at the now-closed Caribbean Travel + Life magazine. Now she travels the Caribbean and writes about her encounters at www.jetsetsarah.com. There you’ll find fun and friendly top 10 lists and expert recommendations on just about everything under the warm Caribbean sun. Two brothers from St. Croix, Steve and Patrick, write about the Caribbean from a local perspective at www.uncommoncaribbean.com. Their blog gives insight into authentic island life, proving that the Caribbean is much more than its white sand beaches (although those are also pretty great)! Turn to Steve and Patrick for off-the-beaten-path recommendations and off-the-radar locations you might never have found otherwise. 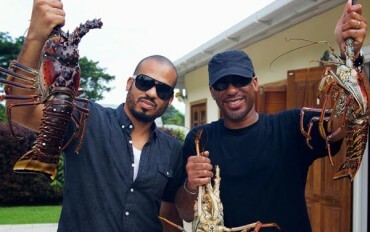 Ryan is a Caribbean travel expert and writer who also documents his travels at www.rumshopryan.com. Get ready for regular updates and lots of stunning photos of your favorite islands, as well as drink recipes, news from the region, recommendations of things to do, and much more. The Aruba Tourism Authority runs a comprehensive site detailing just about everything there is to do on Aruba at www.aruba.com. Check out their blog at www.aruba.com/blog, which will keep you informed about the latest travel trends on Aruba, last-minute deals, and more. 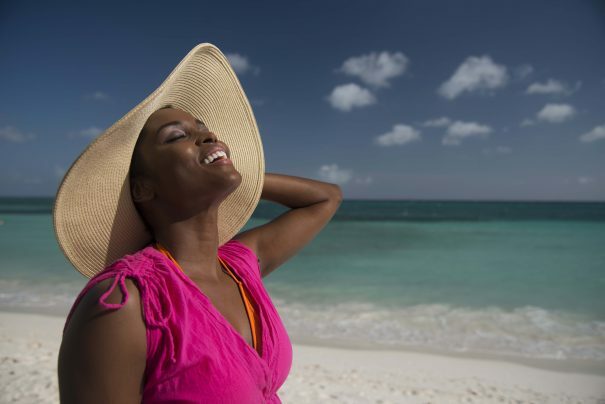 Have we missed your favorite blog on Caribbean travel? Let us know about it in the comments!